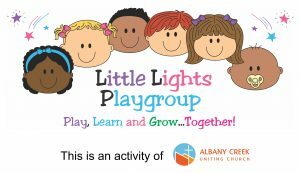 Play group meets each Friday during school term from 9.15 am till 11.00am. Parents, grandparents and carers of pre-school children enjoy friendship and support in a safe environment. No bookings necessary – just come along and join the fun. The only fees are $3 per family per session. Coordinators and all volunteers are current Blue Card holders. Our church values children and encourages them to Play, Learn and Grow in a safe, forgiving and nurturing environment. Youth Group is an opportunity for kids in grade 6 – 12 to spend time with friends, new and old, in a safe environment where they can have fun and play games as well as having an opportunity to explore who God is and what that might mean for them in an open and non judgmental setting. New members are always welcome so come along and say say hello. All leaders hold a current Blue Card.